3 Get active against cancer! Most of all have felt the destructiveness and pure despair of cancer in some form of other. But still we all proclaim (or hope) "it wont happen to me". But unfortunately it effects children, adults and elders. Cancer is not a disease only caused by an unhealthy way of living, it is caused by pollution, healthy food that is in fact toxic, genes and other factors that we are unable to control. BUT, we can GET ACTIVE AGAINST CANCER. It is proven through many years of studies that exercise may not only help in prevention, but it also helps in survival for those unlucky enough to be met by the ugly C word. So, its simple, support the organisation Active Against Cancer who has for a decade now promoted movement in order to help in this brutal fight. 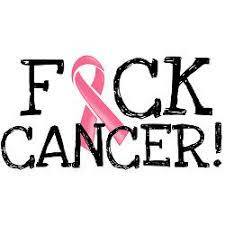 They have educated and energised so many, they deserve all the support we can give them so they can keep getting people up, out and active agains cancer!!! Go give, give them all you can, I know they deserve it and they help so many. I, for one, know they are spot on in their work!